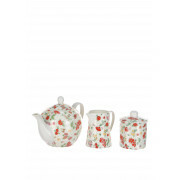 Stylish and functional, this three piece tea set with polka dot background and a red daisy floral print will compliment your home with a splash of colour. Part of the Shannon Bridge pottery collection. 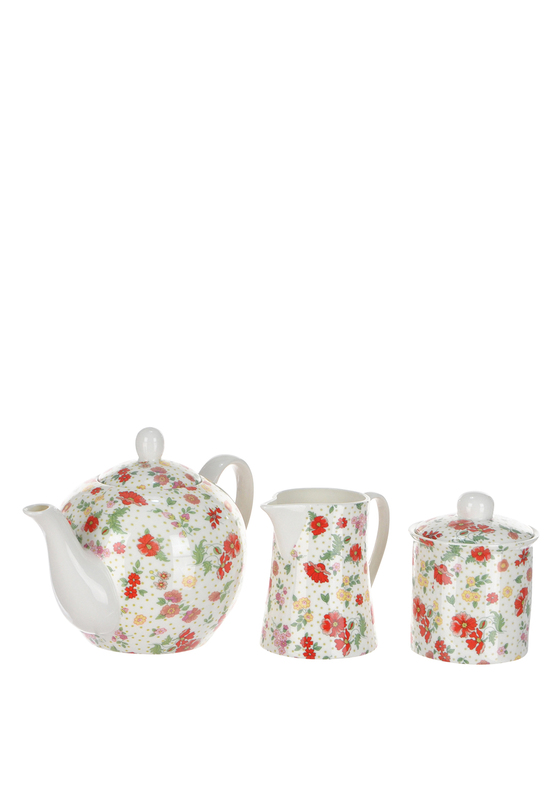 Theme your set up to get that finished look with matching kitchen essentials from the Miss Poppie range.